Massimo Tamburini was a master motorcycle designer! Ducati and Cagiva were amongst the iconic marques for which he picked up a pen. Many heads have turned as a result! Probably, the peak of his design perfection was the MV Agusta F4. A modern-day da Vinci, Tamburini fused Science and Art. In the case of the Serie Oro F4, Tamburini turned alchemist - morphing metal into 'gold'! The F4's visual prowess was matched only by its technical spec. Its 165mph top speed was achieved by combining a power output of 126bhp, with a dry weight of 406lb. 16 radial valves - 4 per cylinder - helped sort the power stat. As for the light weight - the F4 was skinnier than Twiggy! Exchanging the rarefied air of the design studio, for the rigours of the real world, did not seem to phase the F4 one jot. Its state of the art cycle parts saw to that. The F4 could 'handle' any road surface thrown at it! Surging through the revs was sewing-machine smooth. The F4's brakes shooed away speed in an instant. The F4 had rivals, technologically. But - clad, as it was, in its silver and red mantle - it reigned supreme on the stylistic front. 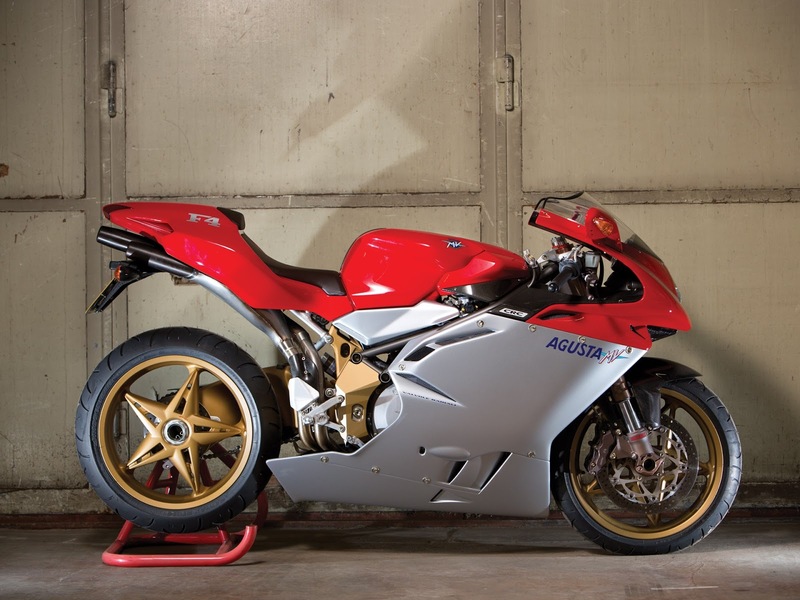 Italian to its core, the MV Agusta F4 radiated elegance. It is, for sure, one of the most ravishing rides ever built!